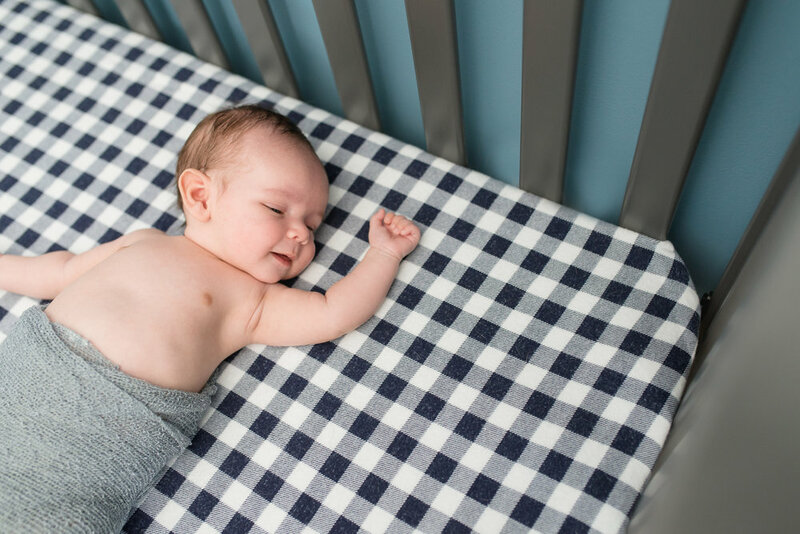 Baby Grayson | A Six-Week-Old Lifestyle Newborn Photography Session in Leesburg, VA — Northern VA Newborn, Maternity, and Family Photographer serving Ashburn, Leesburg, Purcellville, & Loudoun Co. 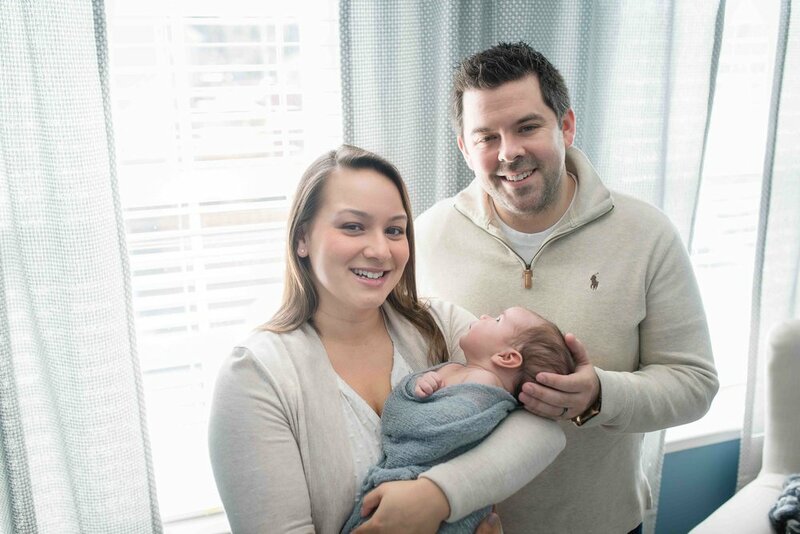 It was a blustery March day when I pulled up to the Slattery family's home in Leesburg for their lifestyle newborn session. At the door, the sweetest puppies greeted me, full of excitement to meet a visitor and show off their little brother, Grayson, who was contentedly chillin' in his little baby bouncer, ready for his photo session. 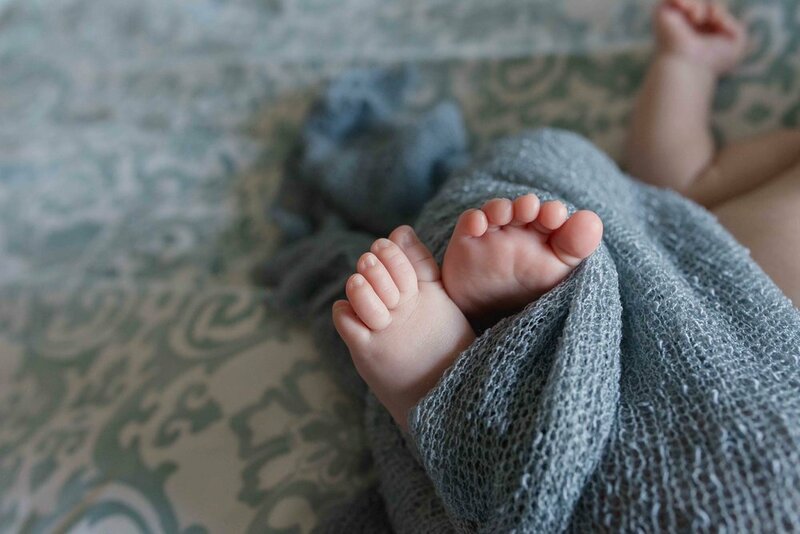 One of the million reasons that I love lifestyle newborn photography is that there aren't as many confining "rules". 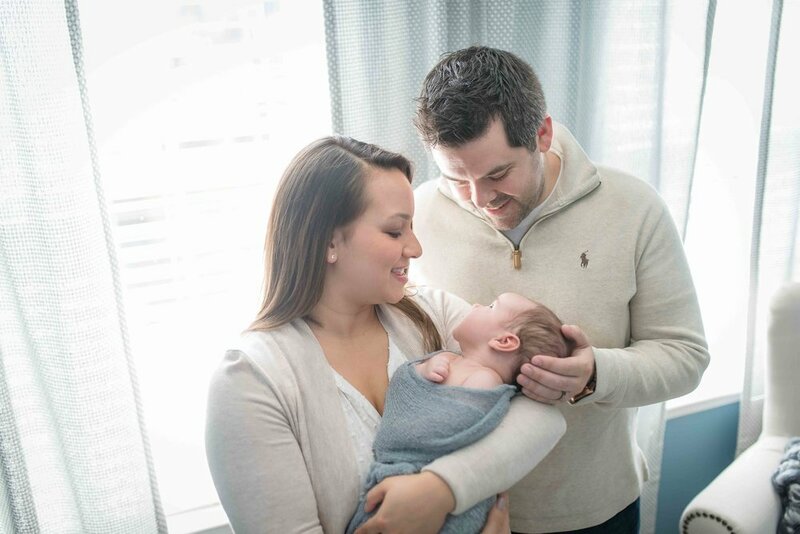 I always recommend to new clients to try and book their session within the first two weeks of a baby's birth, but it is really no big deal to go beyond that. There are so many reasons to wait... Maybe Mom had a rough delivery. Maybe everyone is just too darn exhausted to even *think* about getting photo ready. 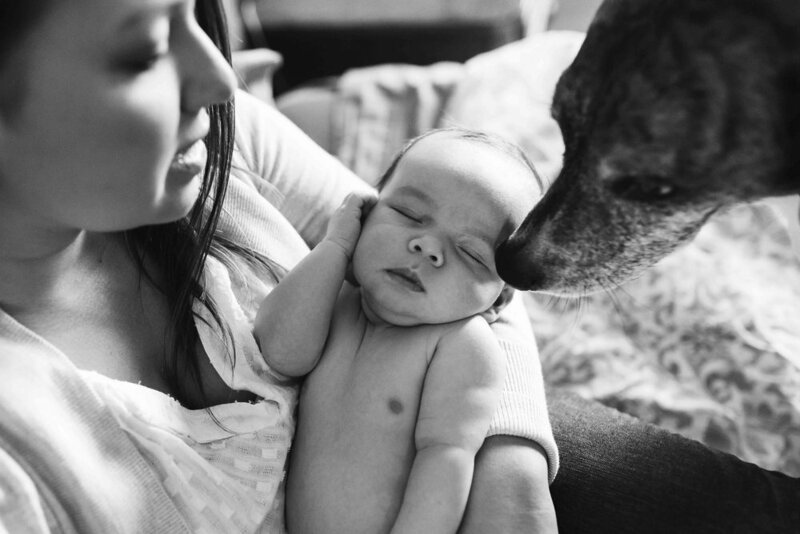 Maybe you prefer to have baby to be more alert and awake for your session. 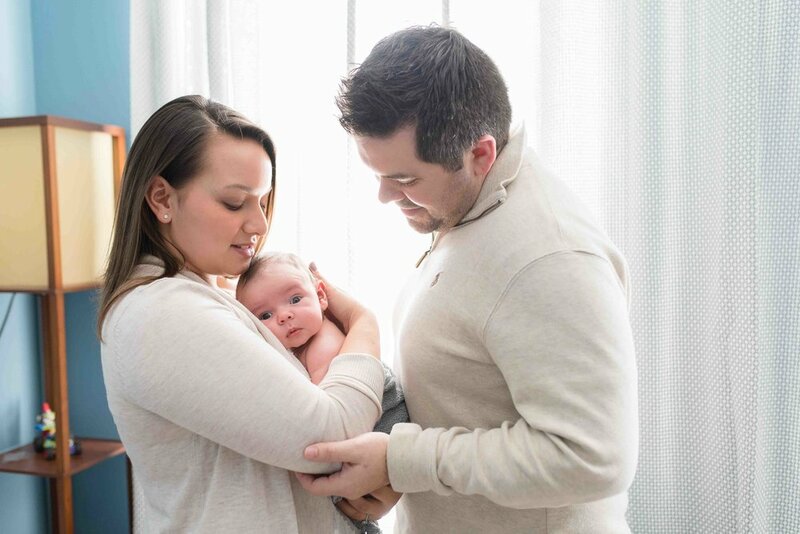 And the beautiful thing with lifestyle photography is that since we are focusing on your love and connection with your newborn child, it can really be documented at any time, YOUR time, whenever you are ready. 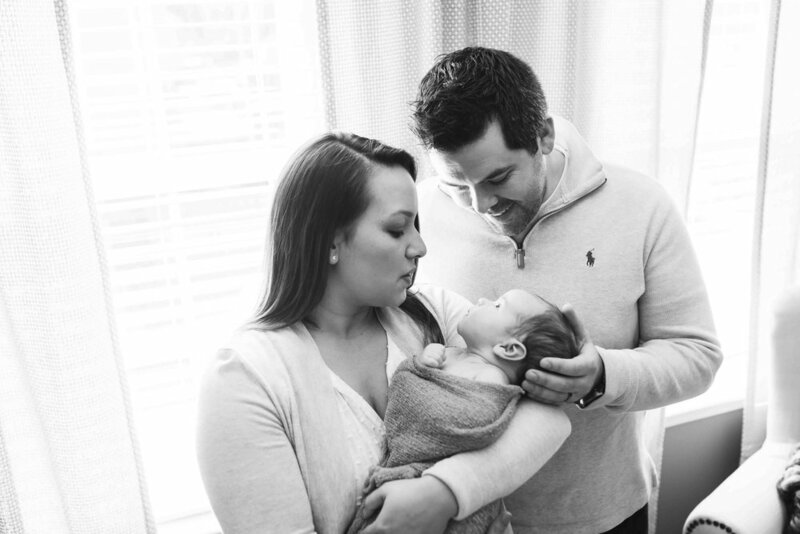 Grayson's parents wanted to get some photographs of his beautiful eyes open and maybe even a little smile since he had just started showing his adorable gummy grin to them! He stayed awake for a little while, but let me tell you, this sweet boy was such a calm, sleepy head that he just drifted off peacefully in his parents arms, which was beautiful to capture as well. I did manage to get a few eyes open photos, some adorable expressions, and puppy love with his furry siblings, so we will count it as a win! Trust me, you won't want to forget these moments. 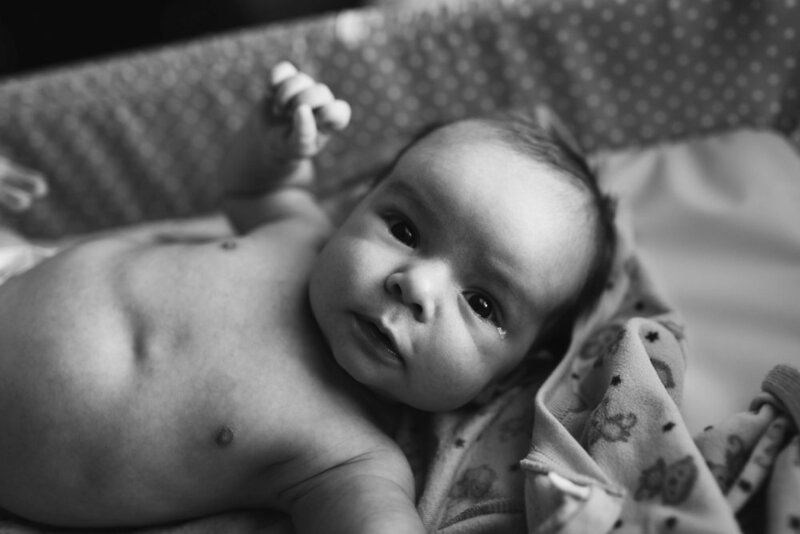 Interested in a lifestyle newborn session with Kristin? Contact me today for more information!